As a world-renowned soul singer who Smokey Robinson calls "Aretha Joplin," Joss has sold over 11 million records globally. Having just turned 24, Joss has already amassed a career's worth of successes. She is a Grammy winner, five-time Grammy nominee, and the recipient of several Brit Awards. 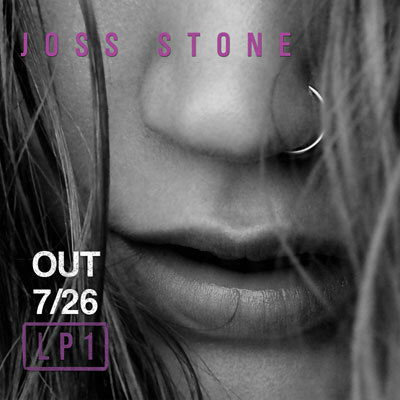 Stone recently established her own label, Stone’d Records, and has partnered with Surfdog to release LP1. This is the first album Joss has recorded with total creative freedom. She co-wrote and co-produced it with super-producer and Eurythmics co-founder, Dave Stewart. Together they immersed themselves into a rock n' soul musical odyssey in Nashville, Tennessee, finishing LP1 in only six days. "This is the most fun I’ve ever had making a record with Crazy Dave Stewart at the helm, and yes the players in Nashville are unbelievable!!!" says Stone. “This album captures a specific moment in time that was spontaneous and full of creativity." "Joss can sing with the ferocity of a lioness and dynamically switch to the most delicate whisper in the same phrase," says Stewart. "She is always honest and full of real emotion. It is an honor to work alongside a true artist who understands so much at such a young age."